Nations across the world are increasingly assuming the role of a welfare state. India spends almost seven percent of its GDP on social security programmes and subsidies. However, given the sheer size of the population, lower levels of income, education and literacy and awareness about entitlements, delivering benefits to actual beneficiaries has been a challenge. To use Rajiv Gandhi’s famous dictum, out of every single rupee spent by the government on social welfare programmes, only 15 paise reach the people. 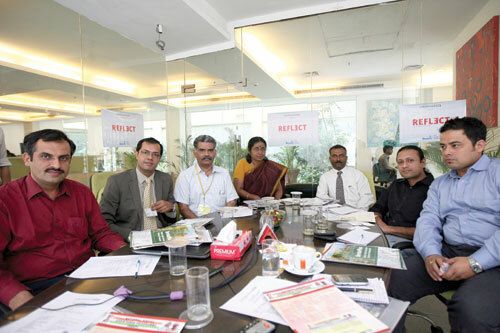 A 2006 report of the planning commission says that there is a leakage of 73 percent in the social security programmes. To fix leakages, the government is using information technology in many schemes to eliminate the physical interface between government officials and citizens, and thus, preventing citizens from bureaucratic harassment. Of late, it has also introduced the concept of identity-based delivery system in which the benefits will be delivered on the basis of the unique identification number – Aadhaar – of the beneficiary. It will exclude ‘ghost beneficiaries’ and eliminate the role of middlemen, it is argued. 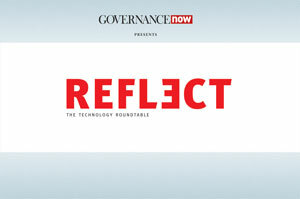 A panel comprising senior government officials and industry experts deliberated on these challenges and resolutions in the roundtable, ‘IT in social welfare’, held at the Governance Now office last fortnight. The panel included DC Misra, senior technical director, national informatics centre (NIC); Rama Hariharan, technical director, NIC; Sandeep Ahlawat, information technology department, Delhi government; Jaijit Bhattacharya from HP; Himanshu Mehta from Mastek; Vivek Srivastava from CA Technologies and R Swaminathan, NIXI and ORF fellow.